Film Noir is the ever-present, ever-changing element that has inspired film and served not only as a genre, but as something that infect other genres. Another key role it plays is its ability to morph films even today. This is because “Noir is almost entirely a creation of postmodern culture”(Naremore 14). With these two ideas, it is easy to see how noir elements are heavily present in film today, serving as that ever-changing, ever-infecting agent. 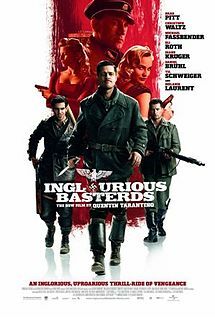 Take how its infected the film Inglorious Basterds. 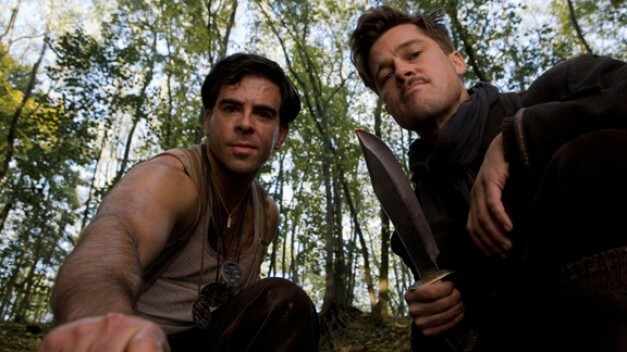 Quentin Tarantino’s Inglorious Basterds struggles to be defined by a genre because of its unique ability to incorporate multiple film elements- the comic relief, the outlandish plot, romance, action, suspense, and more importantly, a noir factor. Tarantino incorporates all of these ideas into his films in a way that is fast paced and something we have never seen before. It is new even to our postmodern culture. Though mixing the lines between genres is the way he achieves such an interesting story, this can only occur with the help of noir present in his films, specifically Inglorious Basterds. Tarantino heavily relies on the femme fatale model in his character Shosanna to create a separate but significant storyline that moves the plot forward. Shosanna’s story also serves as a way to blend romance, action, and suspense into his film. From the very beginning of the film it is made clear that her story is important and will continue throughout the film. The idea of corruption and the city is a little farfetched, but it is still present through Colonel Hans Landa. Its better to say that the Colonel serves as corruption, for his initial role is the man who rounds up the jews, and then he switches to his duplicitous role at the end of the film where he actually helps the Basterds kill Hitler. He is in it for himself, he will stop at nothing to get his, no matter who he kills or what he has to do , this man is as corrupt as they come based off selfish desires. 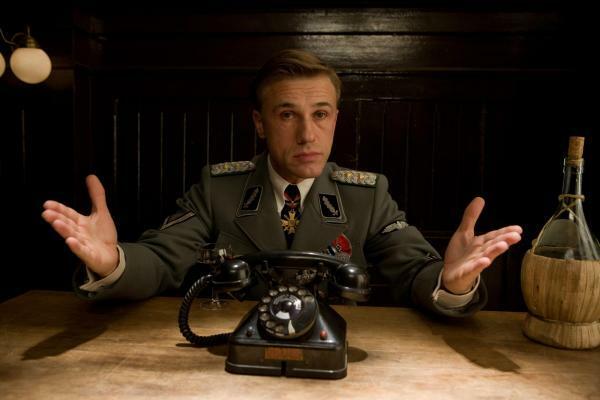 Colonel Hans Landa also bridges the action, suspense, comic genre divide. One odd noir twist Tarantino places into his plot is his representation of hopelessness and despair through the Basterds. The Basterds serve from a German perspective as the harbingers of death, whereas they represent success for Americans. The focus in the film tends to be more on the German perspective for it is demonstrated on multiple occasions that life is over for these German soldiers. Tarantino also uses this team to bridge the action, suspense, comic genre divide. Noir elements are present throughout the film in various ways to help mold Tarantino’s story that bridges the genre divide. He also uses noir to create a postmodern film that is enjoyed by society today. Without noir present in this film, Tarantino would struggle crossing genre divides, and struggle creating an entertaining film. Noir, the ever-changing element, the enigma of film, is something today’s film industry cannot do without. It’s difficult place anything into one genre. And I’ve never seen this movie, but I think this is a good example of that. Just from the images you posted, I can see harsh, low-key lighting, subjective camera, and wide-angle camera use. In your research, did they mention that the noir elements were deliberately noir-inspired, or do you think that it is an aesthetic that happens to be noir-esque? I’m glad you mentioned subjective camera – my eye caught sight of the last image in the post before I read all the way to it, and I would have guessed Ellie was going to mention subjective camera based on it. Is there much of this in the film Ellie? I think you make some interesting points about how Tarantino bridges the gaps between genres to create his films. I think it’s very much his craft as both a screen writer and a director, as you see various influences from other genres mold his films. One aspect in particular that I enjoy from a Tarantino film is the fact that he breaks up the action into acts, which he places title cards in between. It reminds me of the cereals of the 30’s and 40’s which were famous for their cliff hanger endings that encouraged the audience to come back for next weeks exciting installment. In the case of Tarantino’s pictures though, you get to experience each successive act one by one, which helps to build your anticipation for the spectacular finale. As you point out, Tarantino also mixes various genres together with tremendous success. This is a testament to his knowledge of film, and how each element complements the next. Have a seemingly innocent sequence which is supposed to bring together characters in the film for some exposition for the audience? Make it a bloody shootout in which some of the freshly introduced characters are slaughtered. Have an intense action sequence which is extraordinarily gruesome? Throw in some witty, expletive laden dialogue to make your audience laugh. Much like noir as a genre, Tarantino as a director seems to defy convention again and again. This is a common description of Tarantino – that he defies convention – and yet there is a certain style, a cinematic swagger, that characterizes his films. And critics also often use the term “post-modern” to describe him as well. Maybe he’s emblematic today of what was so strikingly fresh to audiences in the 40s (or the 60s critics who coined the phrase). An interesting analysis Ellie! I like the points you bring up about certain elements in the film that are Noir like and how those are incorporated with other genres to make a whole, more complementary film than just one could not accomplish. But as Ashley brought up it is hard to place anything into one genre, especially this film, so with that in mind and based on your analysis and conclusions couldn’t other elements used in the film be just as influential to the film industry as you say Noir is? I definitely believe that Noir elements are being used in films today that change the way we as consumers look at film but on the other hand aren’t the other genre elements just as important? Just to be clear I am not trying to say anything about your analysis is wrong but given this movie I feel it is important to bring up the other elements found throughout the film. I like your analysis of the character Shosanna and feel you have put an interesting spin on her character. I would like to hear your thoughts on the character Bridget von Hammersmark who i feel also shows characteristics of a femme fatal given her independent nature and the danger she presents for Col. Hans. There are several interesting provocations here in the comments, Ellie – if you have time, I’d like to see you come back to the conversation and address them.